LONDON—The French government will reintroduce national service for teenagers, in an effort to build social cohesion and national pride. Called the universal national service, the scheme is a diluted version of the military service that French President Emmanuel Macron promised during his 2017 election campaign. According to French news network France24, Macron saw it as a major project to allow the country’s democracy “to be more united and increase the resilience of our society” in the wake of a series of terrorist attacks in France. To face the threats to the country, he said it was necessary to strengthen the link between the army and citizens, and he initially proposed for the service to be three to six months long. Compulsory military service in France was phased out from 1996 under former President Jacques Chirac. Macron, who was 18 years old at the time, is the first French president who has not done military service. The new version of the scheme is not described as military service, although the army will assist in training, supervision, and possibly accommodation, according to French daily Le Parisien. The scheme has been watered down partly due to concerns over the costs and the possibility of overloading the military. Critics also say there could be legal issues in having compulsory national service for teenagers. The government aims to enroll students in the new service from the summer of 2019, after a period of consultations in the coming months. 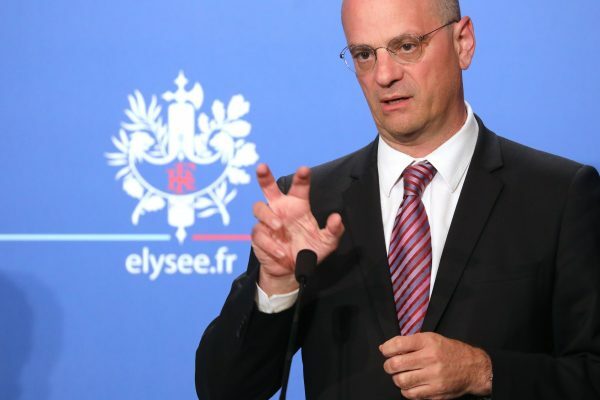 The scheme, which education minister Jean-Michel Blanquer says will promote “civic education” and “awareness of security and defense,” consists of two phases. The first will last for a month and will be compulsory for all boys and girls who are “about 16 years old,” according to Blanquer. It is likely to take place during the school holidays in shared residences for about two weeks, with a focus on promoting “integration.” Then a further two weeks will be spent in smaller, “personalized” groups. The optional second phase, for “those who want to engage even more,” will be for a longer period of time, to be completed before the age of 25. The work could be in fields as diverse as defense, the environment, heritage, or social care, Blanquer said. According to reports, a government working group has estimated the scheme will cost 1.6 billion euros annually, with an initial investment of 1.7 billion euros. 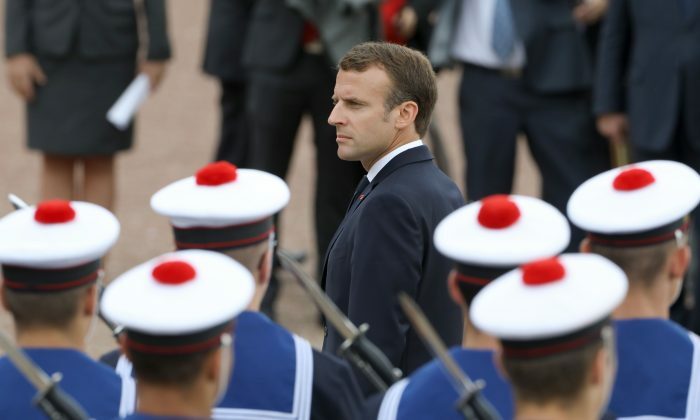 But the idea has public support, according to a YouGov poll from March that showed that two-thirds of French people support the creation of mandatory national service of three to six months. The figures showed older people were more supportive of a compulsory service, with 66 percent of those aged 55 and over in favor, compared with 49 percent of 18- to 34-year-olds supporting the idea. The unveiling of the universal national service comes as a plan approved by Blanquer will require French primary school children to know the national anthem by age 10, as part of the curriculum from this fall. Under the plan, French children will be required to sing “La Marseillaise” in public, know the origins of the three colors on the French flag, and understand the concepts of liberty, equality, and fraternity. Pupils will also be required to recognize Beethoven’s “Ode to Joy,” the anthem of the European Union, in an attempt to avoid euroscepticism that could lead to a potential “Frexit,” according to British newspaper The Times.